There’s a well-known proverb that says “Rome wasn’t built in a day,” and when you visit the Italian capital, you will soon understand what is meant by it. There is so much to see and discover in this treasure trove of antiquity. It can take half a lifetime to get to know Rome accurately. But, what if you have limited time, say a week or less, to explore the Eternal City? One suggestion is to take one of the Hop-on-Hop-off Rome tours by bus or boat. Hop-on Hop-off bus tours provide a brilliant introduction to the city. And the great thing is their flexibility. Jump on and off to see the sights or go shopping just as the whim takes you. 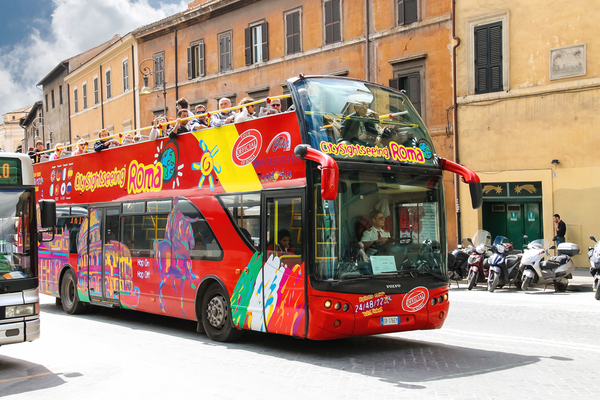 Hop-on Hop-off Rome bus passes are available in 24-hour or 48-hour versions. Perfect for visitors on a tight schedule. The routes take in the monuments of Ancient Rome. Monuments such as the Colosseum, Forum, Palatine Hill and Circo Maxima. As well as famous but more recent features like the Trevi Fountain, Piazza Barberini, and Roma Termini (Rome’s central railway station). If you need a break from the hustle and bustle, then a relaxing Hop-on Hop-off Rome river tour may be just the ticket. Glide along the Tiber and see the ancient bridges that straddle this historic river. 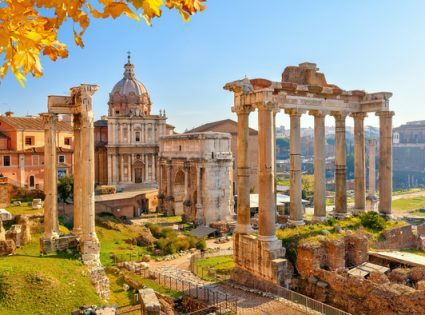 While hop-on hop-off Rome tours give you a quick introduction to the highlights, there’s one monument, the Colosseum, which we would urge you to explore in more depth, even if you have only a little time. The Colosseum is one of the most extraordinary achievements of the ancient world. When it was built, around 2000 years ago, it was the most impressive arena the Classical world had ever seen. The sizeable elliptical structure could accommodate 60,000 spectators seated and 10,000 standing, and a generous provision of 80 entrances meant that all of them could enter and leave in a matter of minutes. (Designers of modern sports stadiums could learn a lesson or two.) Modern tourists are often amazed to find that this incredible structure also had concrete foundations! Of course, the Colosseum is extremely popular, and ticket lines can be extended. If you are short on time, you don’t want to spend your precious vacation standing in queues. Don’t worry – there is a way around this. Some Colosseum tours offer skip-the-line access to this spectacular monument. 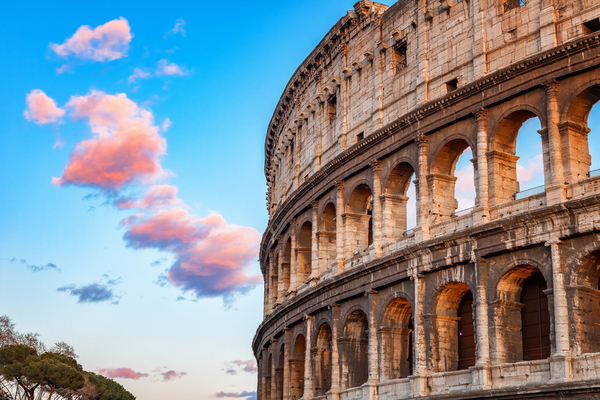 There is an enticing array of options for Colosseum tours. You could combine the monument with other critical sights like the Forum and Palatine Hill, or possibly the Catacombs. You could take a small group tour, which gives you more personal attention from the guide and more of a chance to ask questions, or, for an in-depth experience, arranges a private tour.